‘Good conversations’ between social workers and people who rely on care are key to realising the aims of self-direct supported and giving people more choice over how their care is organised, a study has found. 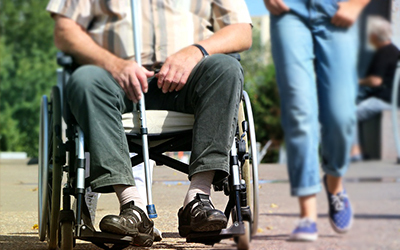 Under the new approach introduced in 2014, people supported by carers – such as older or disabled people – are encouraged to make decisions about their care themselves, in some cases taking on responsibility for how their personal care budget gets spent. Now a Scottish Government evaluation of the programme says it’s vital social workers talk with people receiving care to get to know them, identify their aspirations and empower them to decide how they want their care to look. Meaningful dialogue is ‘central to the delivery of self-directed support’ and ‘potentially more important’ to giving people more choice over their care than any one of the four self-directed support options people can choose from, the assessment concludes. In one example recorded by researchers, an Edinburgh woman was able to have the funds for the care of her mother, who is in her 90s and has dementia, paid directly to her so she could organise a team of carers around her mum’s needs after the previous carer left. Elsewhere, Gerry, who has muscular dystrophy and uses a wheelchair, threw himself into organising his own care and managing payments himself, interviewing different agencies and selecting a provider after his social worker encouraged him to ‘give them a go’. “It gave me something to do, it gave me good communication skills, and it gave me skills with money – I found it quite fun”, he said.